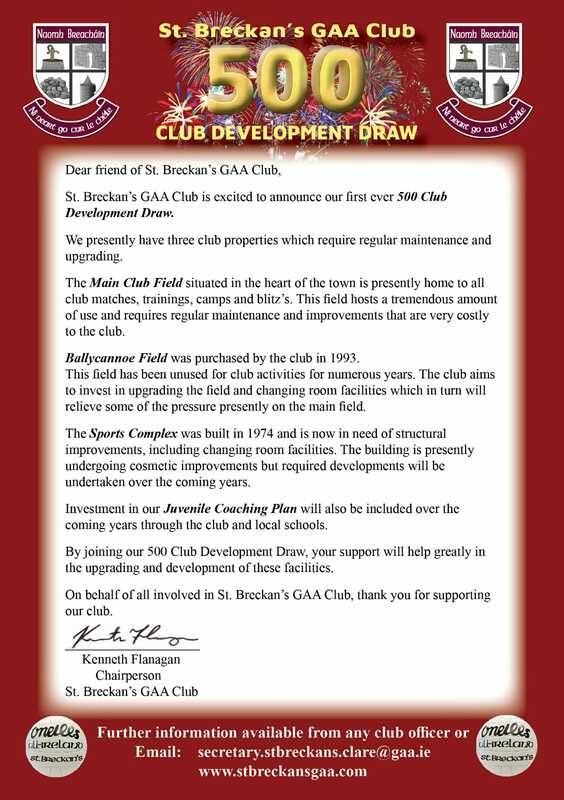 Our fundraising programmes raises badly needed funds to maintain both of our fields, the main town field and at Ballycannoe, to upgrade the facilities at our sports complex, dressing room facilities and our Juvenile Coaching Programme. 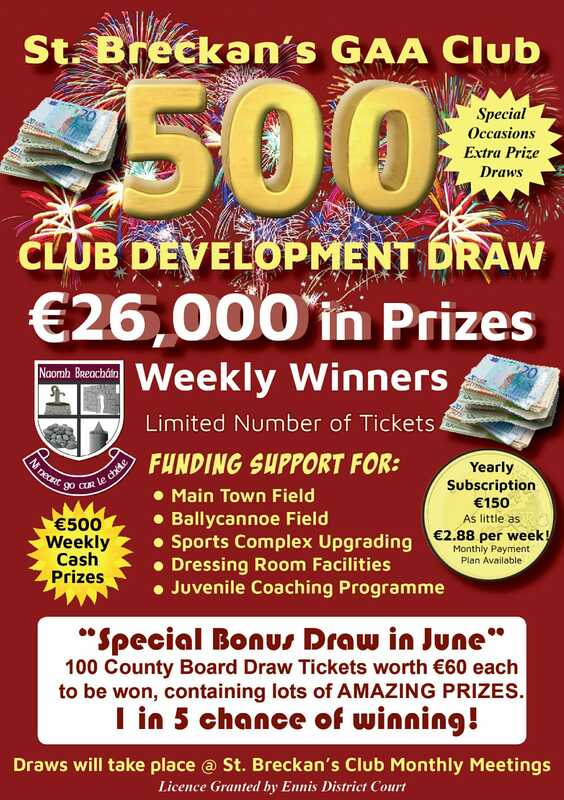 From as little as €2.88 per week you can take part in our weekly club draw. 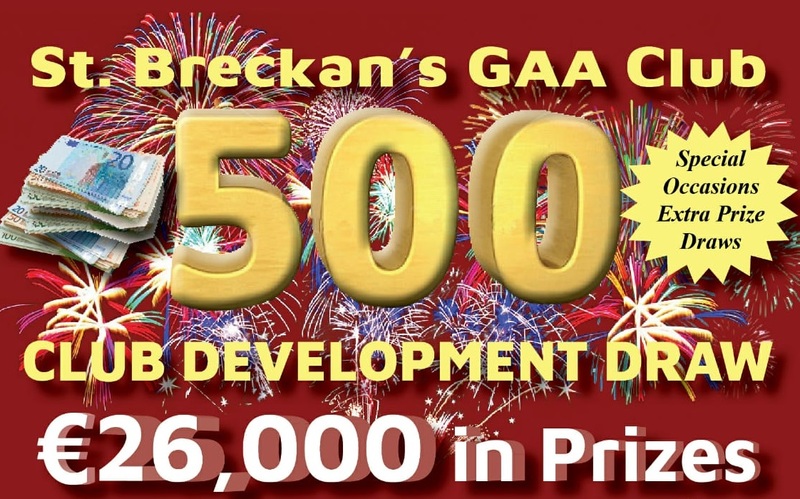 €500 prize money per week. Extra prizes on special occasions, Christmas etc. 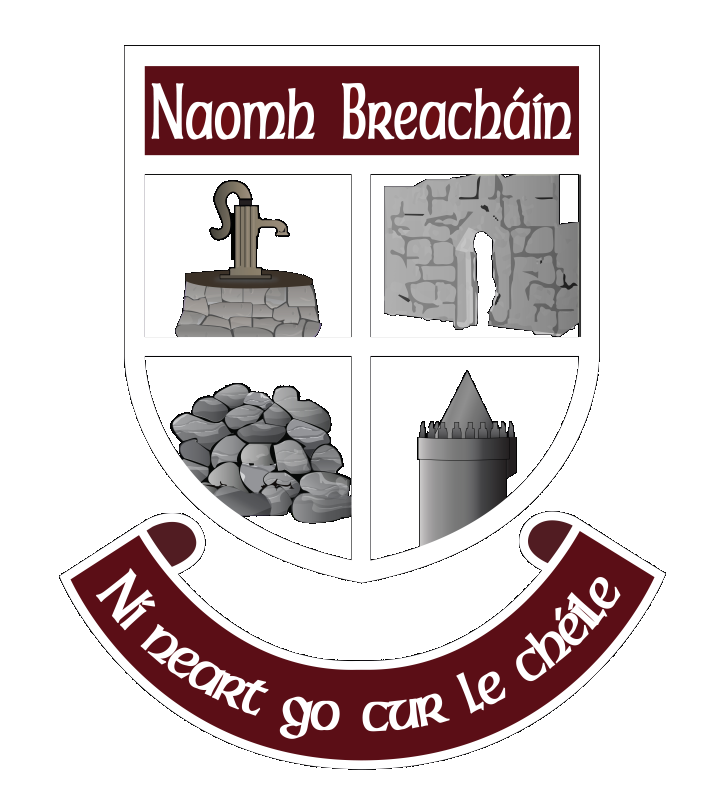 Special Bonus Draw in July 2018, there will be 100 Clare County Board Draw tickets to be won worth €60 each where you can win even more fabulous prizes. NOTE: As this fundraiser draw has already commenced, this form below is only for updating your current monthly payment method. If you would like to purchase a new ticket, please contact a club board member. If you have missed a subscription payment, the payment will automatically be re-tried in 3-5 days. You may not need to update your card, just ensure that there is sufficient funds when the payment is attempted. This will charge your card immediately for the current month of your subscription and update your saved details for future transactions.